As for my title, there's nothing dirty about turning thirty. But I seriously never thought this day would come.. I remember watching one of my favorite movies, 13 Going on 30 and thought to myself, wow.. that won't be me for a very long time and why would anyone wish to be 30?? And it also reminds me of the Friends episode that I've watched dozen of times when they all turned 30. Hilarious. :) I guess now that I'm here, I can say there's nothing bad about being 30. It's just another number added and it doesn't change anything. I am still the same person I am today! I still love my Hello Kitty! ;) I am glad though to reflect back on the things I've accomplished back in my twenties. 1. Married my best friend - I would say this was a big one! Took a trip to Hawaii (Oahu) and Hubs took me by surprise and got down on one knee in the water and proposed right on Lanikai beach. It was perfect! A year and half later, we got married on a hot summer day surrounded by our loved ones. 3. Bought my first brand new car - this was a big deal too.. esp when you're young and saving money is a hard thing to do. But if you put your mind into it, you can save up for anything! 4. Became part of the corporate world. After graduating, it's known to go straight into having a real full-time job.. duh! It's what you do. haha.. I can't wait to see what's in store for me in the thirties!! Don't forget to enter into my giveaway (here)!! It's a gift from me to you! 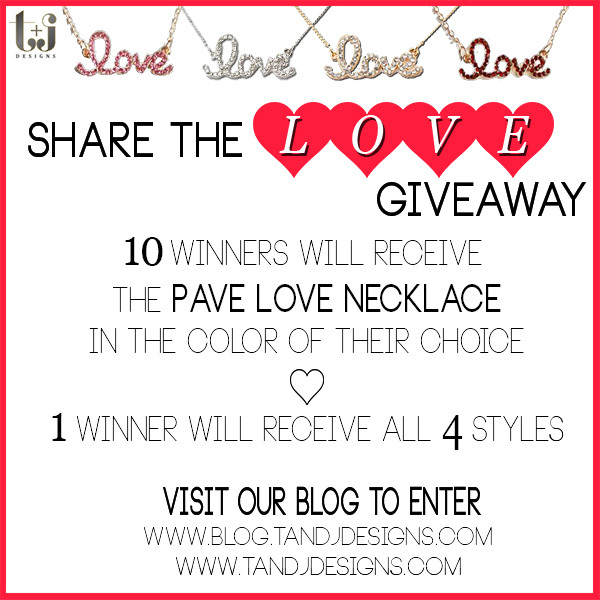 New giveaway from T+J Designs! happy birthday to us! and i also went to kajal's page too. we rock! happy birthday, girl!! my big 3-0 is coming up soon too!! Happy Birthday Sheila! I LOVE that Hello Kitty balloon. :) I hope she floats and keeps you company for a while. I love 13 going on 30. It's such a cute movie and I love Jennifer Garner. I'm excited to see the progress on your new house. Looks like you'll be moving in soon. Happy Bday beauty! !Visit http://www.urbanfashionstylee.blogspot.mx and check my new post!! Happy Birthday lovely! I love that movie, too - 13 going 30.
happy birthday! my birthday just passed too! You look really gorg in these pictures!!! Happy birthday dear! Happy birthday, Sheila! I hope it's a wonderful one! I'll be turning 30 this year as well. Happy Birthday, girl! That's amazing, and I love your philosophy so much! Why should you change just because you turned 30? And it seems that your 20s were a successful decade, and I wish you that your 30s will be even better! Enjoy your week! Happy birthday to you. You look amazing. I love your blazer and shoes. Happy Birthday to you! :D You don't look anything close to 30. You look way way younger! And congrats to you in all your milestones...that is an inspiration to look up to, truly ^_^ Enjoy your special day! AWW! Happy Birthday!! You look so young (not that 30 is old, because I will be there shortly) but I swear, I was going to read that you were turning 21 when I saw that it was your birthday! I love those pink shoes! Happy birthday! Love the balloons! Happy Birthday!! I love those pink shoes. Hope you can check out my newest post and follow if you like it! ooo happy bday!! my b day was on friday!!! Happy Birthday!! Love your outfit, so cute and your shoes are adorbs! HAPPY BIRTHDAY, HUN! Hope you, your hubby, and your adorable dog have a great time celebrating. =D Lots of love! I want that Hello Kitty balloon, btw...haha. Happy birthday sweet Sheila! It's time to celebrate! Wish you all the best for this new era! Ahhh, you look so young! Happy birthday :) I'm loving the white pants and the pretty colored top! Happy BD dear!! You look so happy in your pile of balloons lol who got you that huge Hello Kitty one? Happy Birthday Sheila! I'm in love with your outfit esp the shoes! So cute! You've accomplished a lot, so proud of you! Wishing you happiness and good health always! Happy Birthday!! You look great ! Love the outfit ..and the balloons - too cute! Happy Bday, i love this outfit, the shoes are fabulous, thanks for the visit ! OMG, you look adorable! 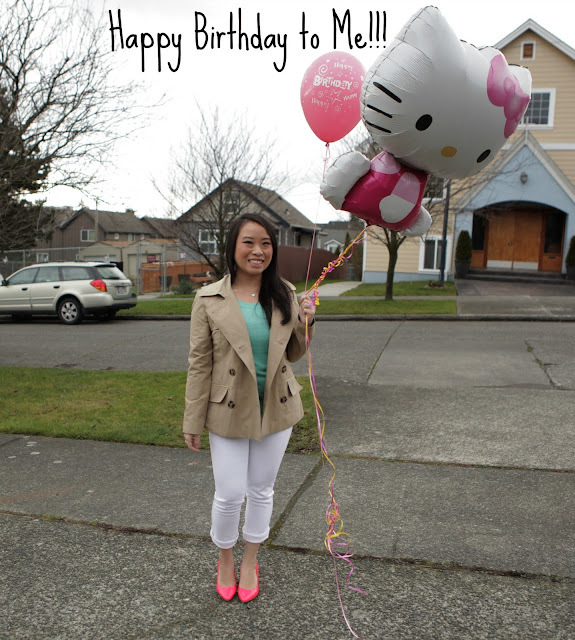 Love the coral shoes and the Hello Kitty balloon! HAPPY BIRTHDAY! Welcome to the 30's club!!! I'm about to be 34 in May....geesh louise! I say...I'm an oldie but goodie! LOL! Hope you had a great bday! Sheila! It's my sister's birthday today too!!!! So crazy! I love aquarius people! They are the best and purest of heart:)))! Happiest Birthday wishes girl! Hope your 30s are filled with many more sweet surprises! We wish you the happiest birthday!!!!! And you look lovely, as always! Happy belated birthday Shelia! And congratulations on your first house! Awwww Happy Birthday girl! :) Hope it was amazing!!!!!!!! Love the mint and pink! Happy birthday!! You are so cute, my dear! Aaawww You looks so pretty :) You have a great smile. HAPPY BIRTHDAY!! I love your heels, the color is beautiful! Happy birthday! That's quite a list of accomplishments:) And your outfit is adorable, LOVE those heels! Happy B-lated Birthday girl ! Happy, Happy birthday dear Sheila. Wow for being 30 you are still a baby compared to me. A lot of things happen in your life and those are good things. I think only one thing is missing..... hint hint a baby maybe(joke).. But anyway I hope you have a fabulous celebration. Happy birthday Sheila dear. i do remember 13 going 30, it's one of my fave movie. thanks for the lovely comment. have a blast on your special day. happy birthday! loving the pop of pink shoes!!! Happy 30th!! I turn 30 this year too and now you've made me want Hello Kitty balloons too! Hope you had an amazing birthday! Love the balloons...too cute! Thanks for your lovely comment on my blog and happy belated birthday! I still love Hello Kitty too! I would lve to follow each other, like your style! Follow you now via GFC and Instagram! I am on insta too! lovely outfit and you definitely look lovely too! This is gorgeous! I love the jeans, and your coat is so cool! !